Written by Andrew Carmichael, Director, Client Services, Project & Development Services, APAC, Cushman & Wakefield. Businesses around the world today have their attention focused on two main battlefields. The war for customers and the war for talent. And the ammunition that is being used in both of those wars is data. Just as data is being used like never before to understand, engage, and sell to customers, so too is data being used by institutions to transform workplace strategy. With businesses today increasingly multi-national and multi-located, data is empowering them to achieve consistency in their businesses, in their vendor partners, and in their facilities management. But beyond efficiency, it is also redefining employee engagement, as well as creating new, holistic employee experiences. In this article we’re going to take a look at the origins of workplace strategy, and how data has transformed the workplace strategy conversation from efficiency, to engagement, to experience. We’ll also look at how the Asian market provides the ideal conditions for data-led workplace strategy transformation. Workplace strategy has come a long way since its origins in the 1970s. Frank Duffy, the father of workplace strategy, saw an inside-out approach to designing buildings and offices. This centered on four layers: shell, services, scenery, and sets. This concept was later refined by Stewart Brand who reframed these layers as the six S’s: site, structure, skin, services, space plan, and stuff. The driving force behind both of these approaches was a focus on how buildings could act as more than just a single entity. Instead, buildings could act as what we would today think of as a platform for services. While the outer shell of the building itself might remain permanent for a great stretch of time, the inner layers could evolve alongside the needs of the occupier. This mindset created the workplace design industry, empowering businesses to discover new levels of organizational efficiency by changing one or more of the layers within the building they worked in. When workplace strategy started to be applied to office design, efficiencies could be found in a number of ways. From optimizing spend on services required, to increasing productivity by changing the space plan, businesses could start to think about their working environment as a driver of value rather than just as a necessary expense. Unfortunately, it was for many years difficult to measure the true value of the efficiencies being created. Stewart Brand’s 1994 book in which he introduced his “Six S’s” concept was titled “How Buildings Learn”. As we enter fully into the age of digitization where the Internet of Things connects things or products, it’s increasingly clear that buildings can literally start to learn. Already sensors are connecting with each other ten times more than people are connected, and this figure will only increase as sensors become commonplace. The growth of sensors, data, and the Internet of Things means that only now can we start to optimize using Brand & Duffy’s principles, creating efficiency through the reduction of operational costs. The rise of desktop and then mobile technology has had the effect of connecting all of us digitally. It has also profoundly changed our expectations of how the workplace should perform for us. No longer tethered to our desks, the advent of mobility in the workplace has meant that workplace advisors have had to become behavior experts in order to understand how to harness the power of that magic word – collaboration. With business executives increasingly prioritizing physical and online collaboration across teams and localities, it is essential for workspaces to be set up to enable, monitor, and optimize these activities. From a data perspective it is becoming an imperative that businesses measure engagement levels, rather than just tracking efficiency. If collaboration and engagement is not optimized, the inevitable knock on effect is that efficiency and productivity will suffer. Data provides the key to this optimization. Finally, we come to experience. Employees and business leaders alike are increasingly demanding more human, business efficient, memorable, frictionless experiences in the workplace. Organizations will choose smart buildings and implement smart workplace initiatives in their efforts to achieve success in the war for talent. This goes beyond offering flashy gimmicks to try and lure in new employees. Instead, the modern workplace experience must be designed in a seamless fashion that empowers them to work how they want, where they want, on any device and at any time. Through data, businesses can start to understand what these needs are and map out the customer experience accordingly. How does this play out in the Asian context? Asian commercial real estate finds itself in a fascinating situation at the moment. With more smart cities and connected smart buildings being built, and a demand from multi-national clients, there is a vast opportunity for smart building technology to take hold. You can think of the Asian situation as being like a crashing of two seas coming together. One wave is the western multi-nationals that want and need to be in Asian cities. The other crashing wave is a millennial, smart workforce that is tech savvy and have grown up as digital natives. They want work to be a positive frictionless experience and as easy to do as the rest of their connected lives. They also want to contribute, which will further drive innovation. There are of course challenges to realizing this opportunity. With Asia representing such an extensive community, it is natural to expect that certain markets will be ahead in terms of implementation of data capture, analysis, and decision-making. As smart buildings continue to increase in number however, even the emerging markets within Asia will see an opportunity to leap-frog less innovative locations and provide a transformative experience to multi-nationals and millennials alike. 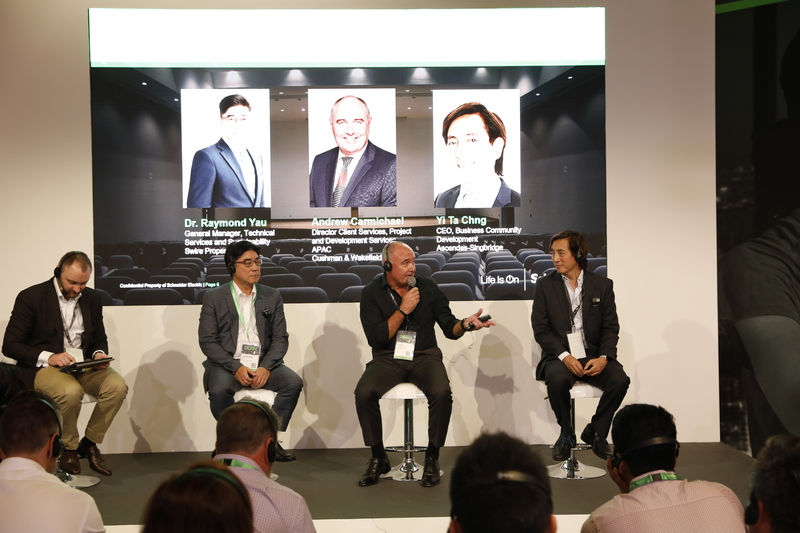 This article was written as a follow-up to the panel discussion “EcoStruxure for Real Estate: Digital Disruption in Real Estate” at Schneider Electric’s Innovation Summit in Singapore on Sept 20-21, 2018. Cushman & Wakefield is a leading global commercial real estate services company. 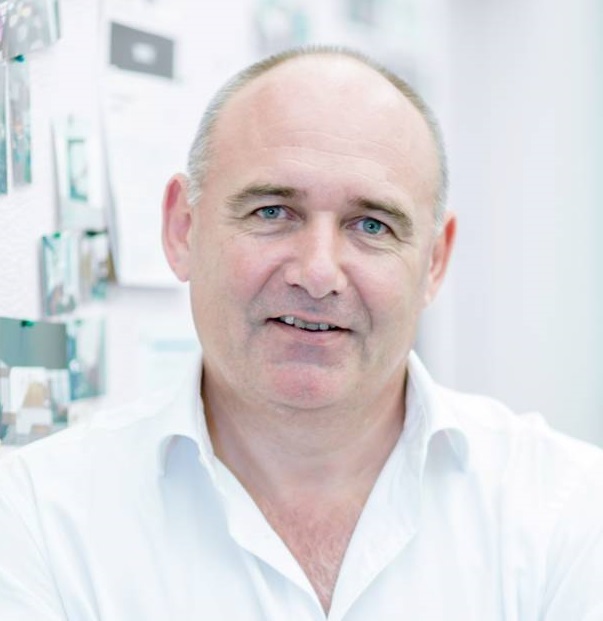 Andrew has led teams on some of the largest headquarters projects in Asia Pacific, including Singapore’s Standard Chartered Bank, HSBC, and DBS Bank. He also headed the design firm behind Changi Airport Terminal 3 and the $500M upgrade of Terminal 1. Currently, he works for Cushman & Wakefield, where he’s responsible for Microsoft HQ projects in Singapore and Tokyo.